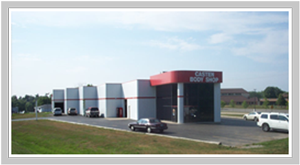 Casten Body shop is your one stop shop for collision repair. Whether you need extensive body work, a new paint job, or just want to repair some dents and scratches, we can help! We even offer paintless dent removal (PDR) for the minor bumps or damage caused by hail. We service vehicles the Lake County and surrounding areas, with two estimate and repair centers located in Wauconda and Lake Zurich. We service both foreign and domestic vehicles, and estimates are always free. Stop in for yours today! 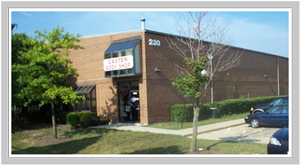 As a family-owned business for over 50 years, Casten Body Shop is a leader in the auto repair community and a name you can trust. Rest assured, we will treat your car right. We continually train our technicians to use the latest in repair technology–something that other body shops don’t do. Take comfort in knowing that we take pride in our work and provide excellent customer service. We take the pain out of car repair. When visiting one of our collision centers, you will be walked through all steps of the repair process, and given a full estimate. If you are using insurance, our experienced managers will help you work out the details with the insurance company. We are signed on as a direct repair shop for some insurance plans, which can save you time in the process. This puts you back in the driver seat faster. Still have questions? Give us a call. Holiday hours vary, please call. You many drop off your vehicle at any time and leave your keys in the slot. Whether you had a car accident, need paintless dent repair, or simply want a bumper replaced, you should go to a repair center you can trust. Not all body shops are the same. Bring your car to Casten Body Shop for a free estimate, and let us deal with the rest. Need a car while yours is here? Not a problem! We share office space with Enterprise, and we even offer FREE loaners if your insurance doesn’t cover a rental. Watch this video to learn about the quality repair and services you will receive when you bring your car into one of our shops. Quality, Assurance, and a Loaner, Too! Our collision repair services are guaranteed against any defect in workmanship as long as you own your car. We have the highest quality, environmentally sensitive materials, precise measuring equipment, and the best repair technicians in the business. When you get you car repaired at Casten’s, we will provide a free loaner when available while your car is being repaired. If you need a rental, Enterprise Rent-A-Car is located inside of our Wauconda location. We know how you feel about your car. We will repair your car to your satisfaction, and all of our work is guaranteed. Our technicians are I-CAR trained, therefore you car will look as good as it did before your accident. You’ll be on the road again. We’ve got answers. It’s important to understand the terminology surrounding car repairs so that you are more comfortable with the process. Take a look at our Accident FAQs page.